So how do I put this nicely……..biscotti season is going to be slightly delayed. Well, this is a bit awkward now isn’t it. The biscotti recipe that we fell in love with and made twice already turned into a dry piece of junk when I attempted to make it for the third time last night. I think I may have over-mixed the batter, but I can’t be sure. It was also a full moon so obviously it was out of my hands! A random flop is why I always test my baked good recipes at least twice, if not 3 times before posting them. I don’t want you to have a recipe bust in your own kitchen! Now be warned, I didn’t practice a lot of recipe testing in the early stages of the blog. I have no idea what the hell I posted in 2008 and 2009. I assume Tofurkey may have been involved and possibly some scary green monsters. A main feature in many grocery shopping posts. Also…may I just ask what this Tofurkey is doing in my salad? I’d say my vegan recipe creativity has improved slightly since 2009. Anyways, what’s a girl to do when evil forces are at play in her kitchen? She reminds herself of the good days, of course! Here are the top 10 recipes from the Fall season so far. These are the most clicked & commented recipes since September 1st. 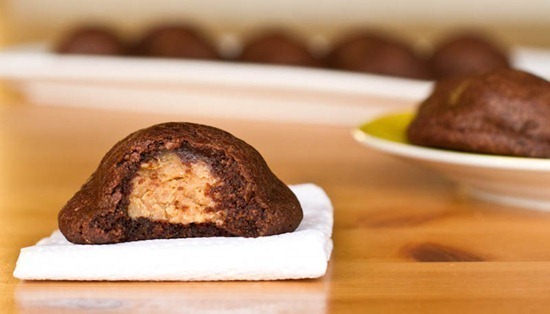 3) Peanut Butter Chocolate Pillows thanks to Isa. 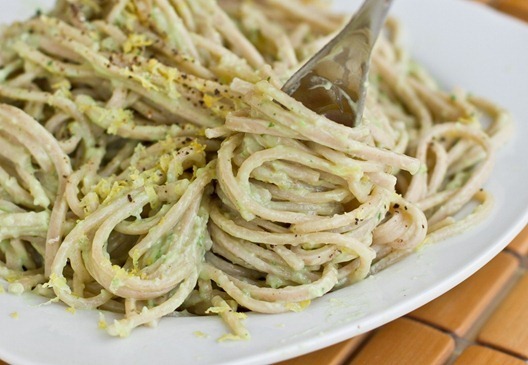 1) 15-Minute Creamy Avocado Pasta! I think we’d hit it off real well. It’s now 5pm on a Friday and no one is reading this. Better late than never right? 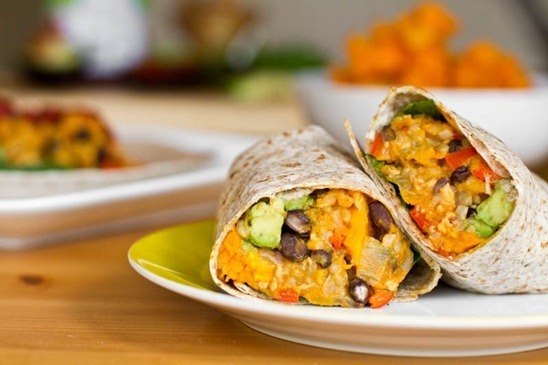 The veggie burger and the bean and squash burrito are still at the top of my to-make-soon list! Take your time with the biscotti. That stuff is complicated. 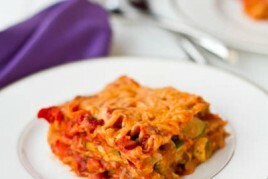 My top favorite (of your entire blog existence maybe) is the butternut mac and cheeze. It is so good. I will make it over and over and over. Can I come stay with you for the winter?? Your recipes look like pure heaven!! 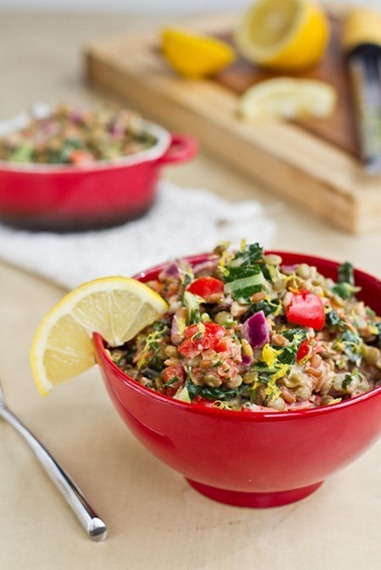 The Protein Power Goddess Bowl is one of my favorite recipes of all time! I add in some goat or feta, which makes it non-vegan, but is delicious. 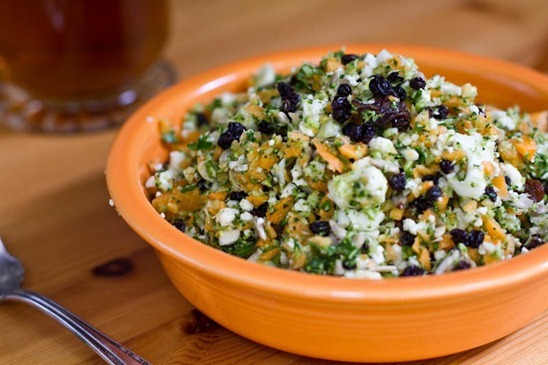 I have sent this recipe to so many people, and everyone agrees the dressing is drink-worthy! Well, since 5 pm, at least 5 of us have been reading :) How did you choose which recipes are at the top? Is it by hits? PS – We had a little snow here north of Toronto today!! We got a bit of snow too! Although nothing stuck thankfully. My fave is the Pumpkin Gingerbread with Spiced Buttercream. *sigh. * Now that I’m thinking about it, I’m going to have to make it again soon! I’ve brought it to a number of events and have been asked for the recipe every time! That was high up on the list too! Im surprised your nut butter crusted parsnip fries didn’t make the list. I have been eating them regularly for months…but they are PERFECT comfort food at this time of year. C’mon people- try them! I think they are a forgotten recipe maybe? I always forget about them too, but I do love them so much! Your 15 Minute Creamy Avocado Pasta recipe rightly belongs at #1, at least in my opinion. My lactose-intolerant boyfriend almost wept the first time I made it for him. When avocados are ripe and on sale, it’s an every-other-day meal at our place. Who can argue with 15 minutes? 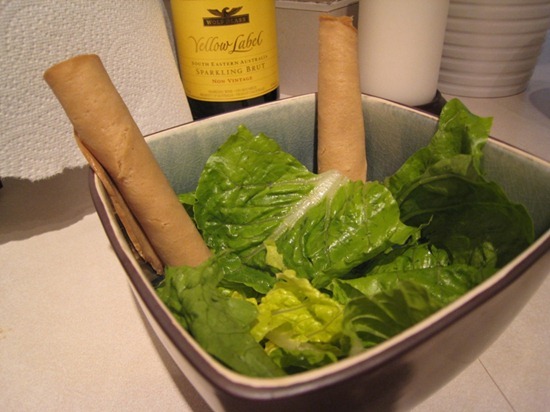 Oh my goodness, that photo of your rolled-up Tofurky in your salad made me laugh SO hard. Thanks for posting that — I needed a laugh!!! P.S. Making Butternut Squash M&C again tonight! Love it. Also how I ate your cinnamon sugar pumpkin spiced donuts straight from the cinnamon sugary paper bag!!! heh :) I recall doing that too! You didn’t mention your pumpkin gingerbread smoothie though – I have made it so many times since you posted that recipe. Love it, my current favourite breakfast! Thanks Julie, I will keep that in mind! I really do love your creamy avocado pasta recipe. 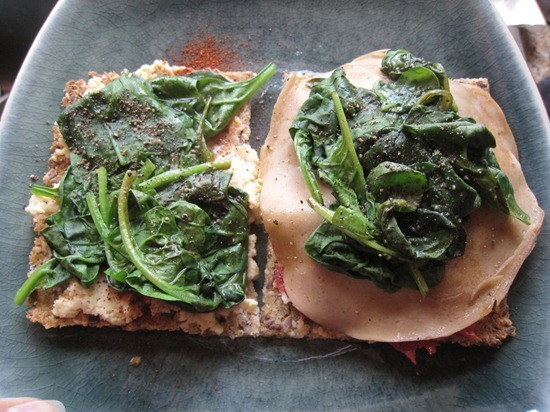 It’s so simple and healthy, but tastes so decadent! I just need to remember to not overdo it on the garlic in that one. Very potent! I could really go for one right now! 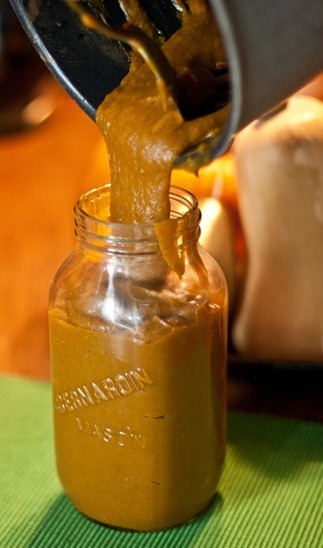 I am totally going to make the homemade pumpkin butter and give it out as gifts this season. Thank you for the recipe! Yum, we readers have good taste! I’m truly impressed that you test each recipe at least twice. That’s dedication! aaagh! I needed this reminder! Nearly every item is on my “must make” list, and I still haven’t done it! 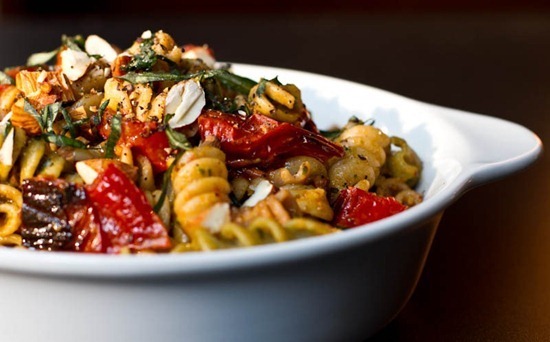 I’m dying to try the mac and cheese, and pesto…must.do.it. And I agree, your veggie burgers are still numero uno with me. They’ve changed my life, whoo hoo! ;0 Because of your blog, I can no longer stomach all of the “fake” meat products out there when I know I can makes things that taste soooo much better, not to mention, a lot healthier too! thanks!! Ah, biscotti bust! I bought matcha green tea powder months ago with the sole desire to recreate a vegan version of the green tea biscotti a local cafe serves. I still haven’t been brave enough to give it a shot! I am deeply in love with your lightened protein salad (dressing especially! ), and have been dying to make that black bean burrito. I thought I’d say I have made a bunch of your recipes for my decidedly NON-vegan BF, and he always comments how good they are and he doesn’t miss the meat! Score! I don’t have to make two meals. Awesome. I love that avocado creamy pasta recipe. Such a good one and so darn easy! Happy Remembrance Day and Veterans Day to all of those who have and continue to serve to keep us free. 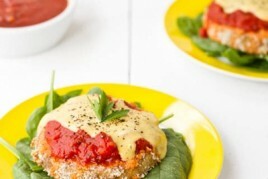 I just came across your blog about 3 weeks ago from a friend who made me your veggie burgers. We doubled the batch and have had frozen patties for a couple weeks! Wow! My husband and I are new to veganism, and your website makes it easier and more exciting. This looks like an incredible list! I have you on my netvibes page; so, I’ll be seeing your 5:00 posts, too. don’t forget your holiday soup! that stuff is AMAZING. They all look so good!!! I feel like there aren’t enough meals to try everything I want! Haha and I hope my blog improves as much as yours! Also, i’ve been meaning to try the black bean and butternut squash burritos – thanks for the reminder! Thanks for the list! 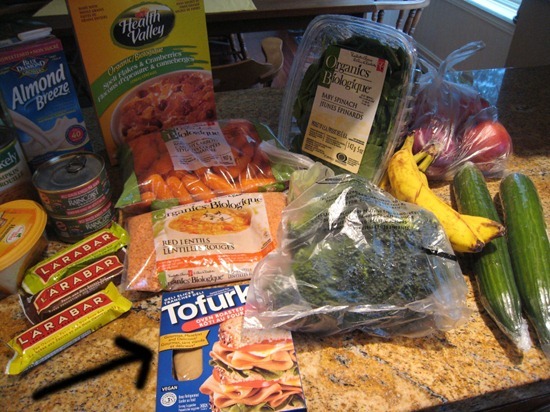 After four years of being vegetarian, I actually just bought Tofurky slices for the first time, thanks to a store sale and a coupon that I’ve held on to since the consumption of my only Tofurky roast last Thanksgiving (acquired for free thanks to a store promotion). It’s…decent. Not something I’d ever pay full price for, but an easy way to add some bulk to lunches that usually just consist of salad and apples. I want to make ALL of these!!!! Especially that avocado pasta– I’ve been craving them like mad during my pregnancy! I LOVE biscotti so I do hope you perfect the recipe :) I too look back at all the fake meat products I tried when I first became a vegetarian and now I shy away from them. It’s so much more fun and tasty to make meals out of real food. I won’t be eating any tofurkey for Thanksgiving this year, lol. I just made your GF almond buckwheat pizza crust again (for like the 3rd time) and I must say it’s one of my favorites. I bet it would make delicious crackers too! 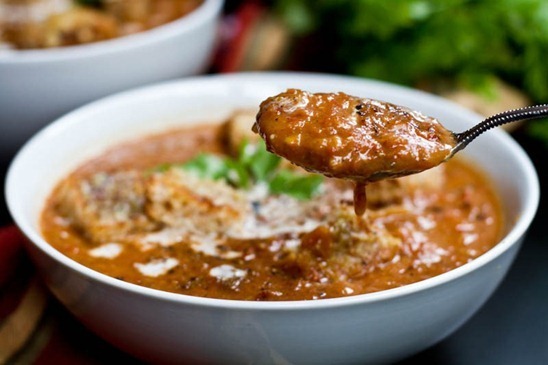 Maybe to dip in the mushroom millet soup you just posted. I’ll have to try your blizzard! I think the peanut butter crunch blizzard should be on the dang list! its so unbelievable!! I agree! That one is amazing! I love your blog Angela, and all your recipes. You are extremely talented! I would like to let you know that saying “happy remembrance day” or “happy memorial day” i can be interpreted as quite inappropriate and offensive. It is a solemn day to mark the sacrifices of service personnel who have paid the ultimate price for our freedom. Although I’m sure you meant it with positive sentiment please consider that it is not a day for “celebration”, but for solemn reflection. Hi Cassie, Thanks for your kind words about my blog! I agree that it was a poor way to communicate what I was trying to say. Thanks for your feedback. “I always test my baked good recipes at least twice, if not 3 times before posting them. I don’t want you to have a recipe bust in your own kitchen! ” <— thank you! I wish I knew which recipes of mine were viewed the most on my site…somehow I need to dig deeper into my WP stats or my google analytics b/c for now, it's only a guesstimate. These “list” posts are my favorite – so many great ideas!!! Thank you for all your beautiful posts…you are one of the first blogs I read daily! 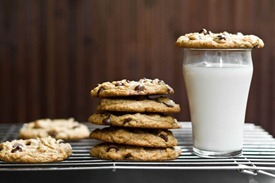 I just ordered the Vegan Cookie Cookbook, you mentioned with the chocolate peanut butter pillows…I’m dying to make them, and her whole wheat fig bars. They both look wonderful. I host an annual holiday cookie exchange, so I’m testing out ideas! Thanks for all your inspiration…enjoy the full moon and the weekend! How come I can’t access your salt-kissed pb chocolate chip cookie recipe anymore? There’s a link that leads to the post, but no recipe. It’s such a good one! Hey Gypsy! I removed that recipe after trying it out again and not being very happy with it. Sorry about that! Alright, I’m asking you this here because the protein power goddess bowl recipe’s comments are closed. I got offered a job as a supplementary instructor at my college next semester which is great but I wouldn’t be able to eat from 11:00am when I arrived at my math class until 3:00pm when I got home because I only have about 5 minutes (that would be spent getting from the math class to the anthropology classroom) between the end of class and the beginning of work. That is huge because I normally eat every two and a half hours or so if I can. I was looking for recipes that will hold me over for long enough so I can see what I like and figure out how to make stuff in case I get the job. 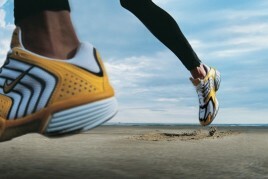 So, this might be a dumb question but, protein is the stuff that gives you energy for a while right? So you’d want to eat it if you knew you wouldn’t be getting to eat anything for a while? I hope you don’t mind butting me in – yes, the protein (and fat!) takes longer to digest, so they keep your hunger away longer. You could also eat some nuts during those 5 min breaks. Hey Alexander, I find a nice balance of protein, fat, and whole grain carbs works the best for me when I have to go long period without food. I would probably have a bit more protein than usual too. 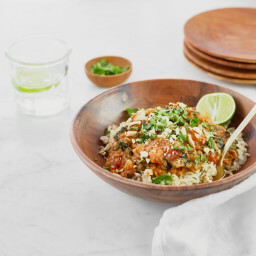 The goddess bowl would work great, and I’d probably add some whole grain bread and fruit to the meal. Also is it possible to bring along an energy bar to class? I used to do that for my 3 hour classes when I had to leave for work right after. Goodluck! Hey Kait, I’m sorry to hear about your career struggles! Keep the faith & you will figure it out. It may not be as quickly as you’d like to, but the fact that you are questioning what will make you happy tells me that you WILL find it. Darn! I was going to ask you this when I commented earlier but I forgot. That avocado pasta? Does it taste avocado-y? Because I don’t like avocados. As always I loved your post, you are just so talented. Yesterday I made your vegan brownies and they were definitely a success. My next challenge are your chocolate chip cookies. However I cannot find Earth balance here (I currently live in Jerusalem) and I was wondering if I could substitute it with something else. I am not vegan, but I do try to avoid dairy products. Thanks! Hey Azra, I have seen a couple dairy-free butter replacers on the shelves- I believe Becel makes a vegan one now. I would check the labels of things to see if maybe there is one that is “vegan by mistake”. Aside from that, I would say you’d have to use a light tasting oil instead of the butter. The outcome will be crispier though and you’d likely have to reduce the oil since it’s so liquid-y. I just read the blog article you linked to about green monsters and it made me think of something that I thought to ask you. Do you ever put fat in them? I often make smoothies with fresh spinach and fruit, and now I include either an avocado or a decent amount of coconut (milk or oil works). Some vitamins in fruits and veggies are fat-soluble. If not eaten with fats, you miss out on the nutrients. I started doing that and lately I feel a lot better, like I’m getting more from them. I stick to monounsaturated and saturated fats as polyunsaturated omega-6 fats are inflammatory. haha, I’ve made 4 out of 10 of your most popular recipes…some of them multiple times! My boyfriend and I both love everything I make from your blog. Yea that’s how I see it too! Sooo many yummy recipes! Great round up! I love your site! what kind of blender do you use? What tools do you have that you feel you could not live without? I also read in consumer reports that the $40 Oster blender was rated #2, so that is a good option if you dont want a vitamix. Great choices! 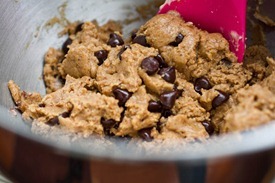 A question about the chcoc chip cookie…..have u ever tried any GF flours or coconut oil instead of the butter? I love your round up! Everything looks so good, but I have my eye on the Pumpkin Gingerbread smoothie!! That sounds like a good breakfast!!! Everything you make is so impressive! I want to make every single recipe! That Roasted Tomato Basil Pesto looks super delicious! Is it important to use roma tomatoes or would any type of tomatoes do? I haven’t tried it with other types, but I assume most would work. Each variety would change the flavour slightly of course. I would be SOOOO happy with any of these dishes AND your so-called dry,crumbly biscotti! Send it my way Angela! Yay! :) I love your recipes! When they are all in the same place like this I love them even more :) I actually have a binder in the kitchen with all my printed recipes from your blog. My husband asked me the other day why I won’t just buy your cookbook! I have a binder too!!!! Let’s keep our fingers crossed that we have cookbook next year!! haha that’s cute! I wish I was that organized….I stuff all my printed recipes into the drawers in my kitchen. It looks like a bomb went off! I’m happy to hear that! Do you make the lightened up version or the original? I vote for the detox salad – YUM! That’s been my favorite of your recipes!! Angela, I want to make the pumpkin butter, but I’m wondering if other types of sweeteners would work, rather than sugar… Like maple syrup or agave. What do you think? I like to use Sucanat in replacement of sugar and it works great. I haven’t tried using a liquid sweetener. I’m not sure if it would make it too liquidy or if it would cook down? I wonder if there is a recipe online using maple syrup or agave. It might be worth checking out to see if anyone else has done it! I did a pumpkin butter a couple of years ago with agave (recipe on my blog), so I can attest that it works. :) I loved your trip down tofurkey lane, too! I always shudder when I look at my early blog posts. I’m happy to say I’ve already tried many of these recipes (I loved the avo spaghetti, like everyone else). Looking forward to the day when I can eat those cookies again! 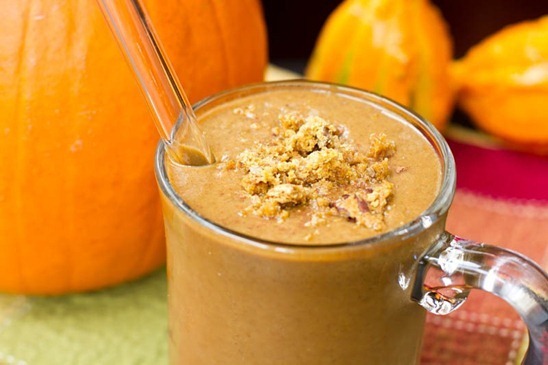 Pumpkin smoothies are amazing! 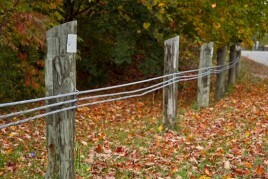 I really want to make my own pumpkin butter this year. Just need to find the time and motivation, could your pumpkin butter recipe be made in the crockpot? Thank you for graduating from Tofurkey (yuck)! I’m reading! 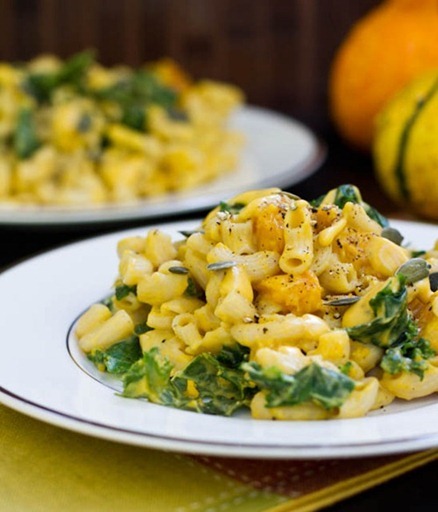 And I have your butternut squash mac’n’cheeze on my meals list for this month! I’m trying out gluten-free for a month so I can’t wait to give this a go. Also I made your roasted tomato basil pesto and it was yummmm! 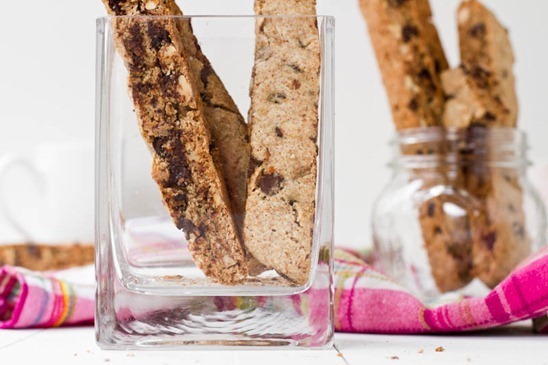 I love biscotti – I make mine with agave so over time it isn’t quite as crunchy but it’s still super good. Any chance you’ll post a gluten-free version? I’d love to try that out during my gluten-free experiment! Thanks for the recipes! I have been vegetarian for over 15 years, and have been trying to incorporate more vegan food. A few of these look so good, I must try!! I can’t wait to try the 15 minute avocado pasta! 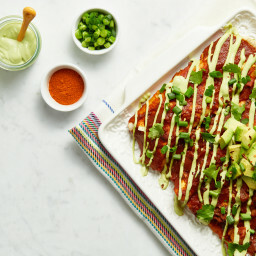 i’ve been eyeing it for a long time and i definitely need to make it this week. oops i meant to add such wonderful posts & recipes! ur husband is soooooo lucky!! I love all ur recipes! 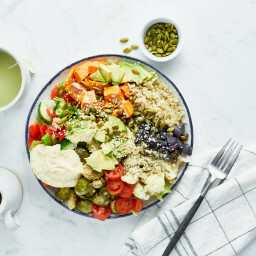 I am seriously in love with the Lightened Up Protein Power Goddess Bowl! It has become one of my staple dishes here at home, especially when I need something in a hurry – I make a big batch good for a couple of days and I’m good to go! Thank you for this! Awww we don’t have tofurkey here! I’m so glad to see the Creamy Roasted Tomato Garlic Soup made it in the honorable mentions. I loved this soup, and plan on making it again this week. I’ve got a huge loaf of focaccia that will make fantastic croutons! Took the leftover avocado pasta out of the freezer last night for supper. It was great!! Oh that’s good to know it freezes ok. Did you just freeze the sauce?